Vacuum System in Ion Nitriding Process- Vacuum Pump - EVP Vacuum Solution! Aiming at plasma nitriding process, vacuum system technology of EVP vacuum pump is used in nitriding furnace. Plasma nitriding technology is becoming more and more important for heat treatment. First-class technology and control measures ensure that the structure and composition of the compound and diffusion layers can be continuously controlled and monitored. Pulsed DC plasma is used to achieve uniform heat treatment effect. The advantage of this thermochemical process is that it can be heat treated at a relatively low temperature between 520 C and 580 C. In order to make plasma conductive, free carriers must be used for power transmission. At atmospheric pressure, the temperature required to make the plasma conductive is not economically realistic. However, in practice, working at 2.5 millibars of pressure allows heat treatment at temperatures below 600 degrees C. Compared with other heat treatment methods, this is already very low temperature, which has a very positive impact on the distortion characteristics of components. Another advantage of this method is that it can selectively exclude all parts of the assembly which do not need nitriding from the nitriding process by mechanical masking. This does not change the characteristics of the underlying surface of the masking part. Before the plasma nitriding process is actually carried out, the components to be processed need to be accurately placed on the fixed equipment. The parts must be placed in the most suitable position in the nitriding furnace in order to achieve the desired surface characteristics. 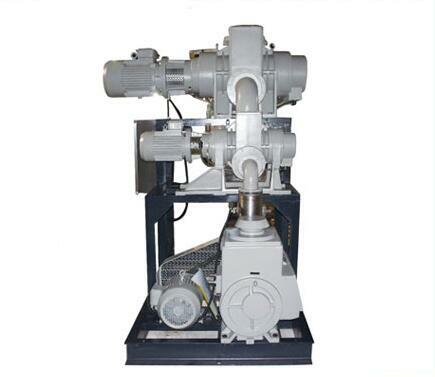 After the charging process is finished and the nitriding furnace is closed, the nitriding furnace will be vacuum to the required process pressure and heated by wall-mounted tracer. After the heating process, the module will be exposed to glow discharge in nitrogen atmosphere. During glow discharge, plasma will be produced. In this process, nitrogen is dissociated and ionized, and burned on the surface of the module. The exact treatment temperature and nitriding duration depend on the material, size and composition of the assembly and the depth of the nitriding layer to be achieved. After the nitriding process is completed, the nitriding furnace and components will be cooled. The whole process lasted 17 to 30 hours. During this period, the vacuum system has been in operation. The vacuum system consists of an oil lubricated rotary vane vacuum pump (as a front pump) and a Roots vacuum pump. The system can realize the limit pressure less than 1 x 10-2 mb, and the actual working pressure in the process is 2.5 mb. This can make full use of the best pumping rate of the vacuum system, which is the highest rate in this operating range. At the beginning of the process, the rotary vane vacuum pump pumps the nitriding furnace from atmospheric pressure to a rough vacuum of 100 millibars. Only then will Roots vacuum pump run. As a booster pump, it can significantly increase the pumping rate of the vacuum system, so that the process pressure can be quickly realized and reliably maintained. By combining the vacuum system with the rotary vane vacuum pump and its control device and coordinating the process, the fastest pumping rate can be achieved with near minimum energy consumption. By accurately maintaining the working pressure and pumping rate, the replicability of operation capacity and process can be ensured, and the ideal product characteristics can be accurately realized. Nitrided plasma is mostly high alloy stainless steel, but construction steel or sintered metals are also heat treated by this process. The absolute reliability of vacuum technology is the first priority. This is because the failure of vacuum system in nitriding process will lead to the scrap of high-quality and high-cost precision components. During this period, there was no breakdown in the vacuum supply. Vacuum systems require only minimal maintenance. In addition to the daily visual inspection of oil level, the oil in the rotary vane vacuum pump and Roots vacuum pump gears only needs to be replaced every two years.